NEWPORT BEACH, Calif. – Devante Downs was one of five players added to the 2017 Lott IMPACT Trophy Watch List on Friday the Pacific Club IMPACT Foundation announced. The award named after Pro Football Hall of Fame member Ronnie Lott is awarded annually to college football's Defensive IMPACT Player of the Year. The Lott Trophy is the first and only college football award to equally recognize athletic performance and the personal character attributes of the player and is given to the player who exhibits the same characteristics Lott embodied during his distinguished career: Integrity, Maturity, Performance, Academics, Community and Tenacity. Downs is making a strong case for National and Pac-12 Defensive Player of the Year honors through his first four games of the 2017 campaign. In addition to being added to the Lott IMPACT Trophy Watch List he is also on the Butkus Award Watch List for the award given annually to the nation's top linebacker. 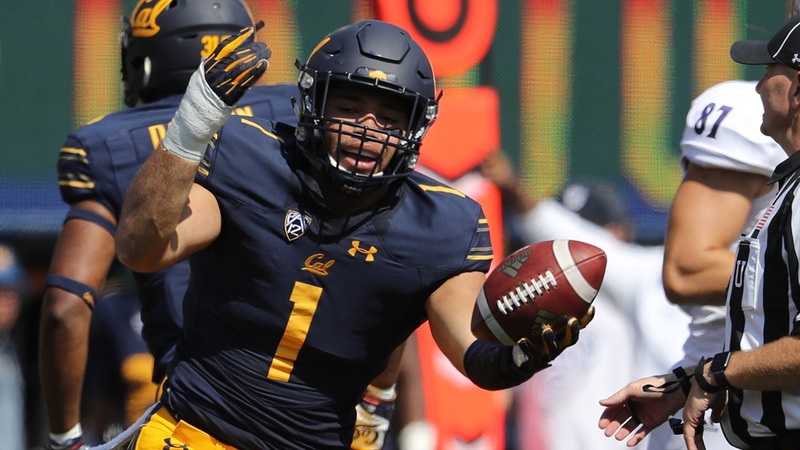 In addition, Downs has been the Pac-12 Defensive Player of the Week twice in the first four weeks to give the Golden Bears their first two-time winner of the award since Mike Mohamed in 2010. Downs leads the conference in tackles (46, 11.5 tpg) with seven more than his closest league competitor and is tied for fourth nationally. He is also among Pac-12 and NCAA leaders in solo tackles (2nd Pac-12, T7th NCAA; 27, 6.8 stpg), forced fumbles (3rd Pac-12, T10th NCAA; 0.50 ffpg, 2 total), interceptions (T4th Pac-12, T13th NCAA; 0.50 ipg, 2 total), sacks (T6th Pac-12; 0.75 spg, 3.0 total) and tackles for loss (T8th Pac-12; 1.25 tflpg, 5.0 total). Downs has played in 37 career games with 17 starts since his arrival at Cal in 2014 and is the team's active career leader with 193 tackles, 14.0 tackles for loss (-60 yards), 8.0 sacks (-40 yards), five interceptions that he has returned 59 yards and three forced fumbles. He is also third among the team's active career leaders with two fumble recoveries while he has added three pass breakups, four quarterback hurries and two kick returns for eight yards. Downs led Cal with a single-season career-high 84 tackles as a 2016 junior. CBS Sports Network will televise the 14th annual Lott IMPACT Trophy Award Ceremony live from The Pacific Club in Newport Beach on Sunday, Dec. 10. Cal defensive back Daymeion Hughes was the recipient of the honor in 2006.